Welcome to State Pride Week. This week I have partnered with 30 bloggers to showcase a project, craft or recipe to showcase our home state. I currently live smack dab in the middle of the USA in Indiana. 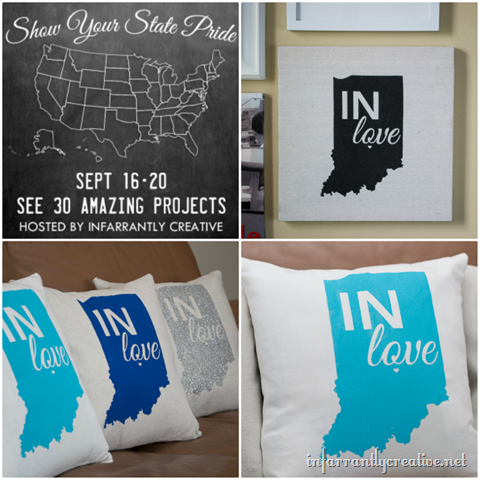 I took advantage of my states initials and created an “IN love” silk screen that I can use over and over again. 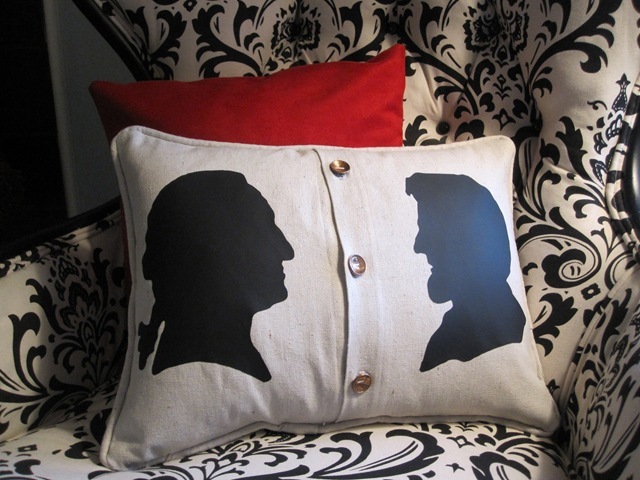 I chose to make some pillows and a canvas out of my “IN love” silk screen.